Mix cake as directed. Pour cake batter into a greased 9 x 13 pan. 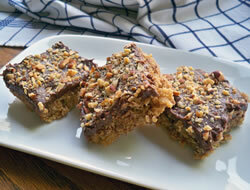 Sprinkle with 1/2 of the crushed candy bars. Bake as directed on box. 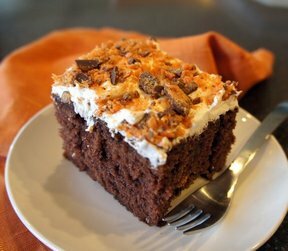 When cake is cool, drizzle butterscotch over cake. 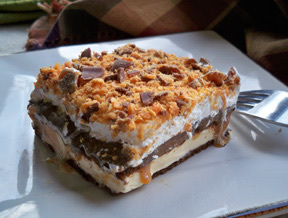 Spread Cool Whip on top and sprinkle with remaining crushed candy bars. Refrigerate until ready to serve.